Hi everyone, this is my first post in this site. Here i present you one of my best pencil sketch i ever done. It is of our Legend Sachin Tendulkar. hi! 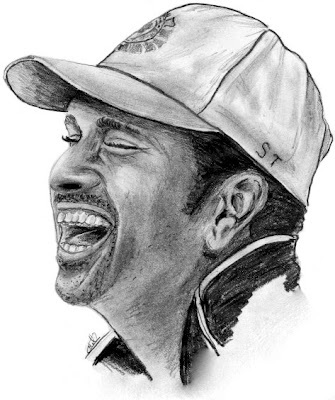 sachin ur the icon of india , bcoz your stachu is MUSIOUM " MADAM TOUSAAD " ND UR COMPARING MAHATMA GANDHI. hi! sachin u r the icon of india.love u..
hey u r great main nice job. HI...I WANT TO KNOW WHY YOU OPEN RETAURENT????? DONT MIND PLS..
@s what did u mean. sorry i didn't get u?